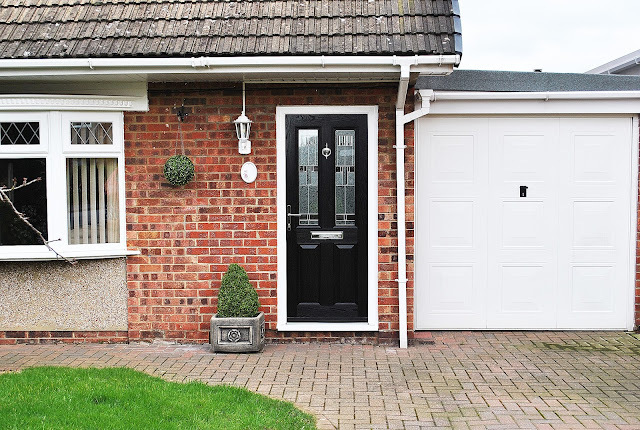 One of our most popular door designs is the Altmore composite door, featuring two rectangular panels, with the customers choice of glass design within the panels. Here is our most popular glass design - The Zinc Prairie, a modern, abstract glass, featuring a range of patterned glass, lead and bevels. This door is finished off with beautiful Chrome fixtures and fittings, including a elegant chrome 'urn knocker'. The framework is high quality rehau UPVC profile! 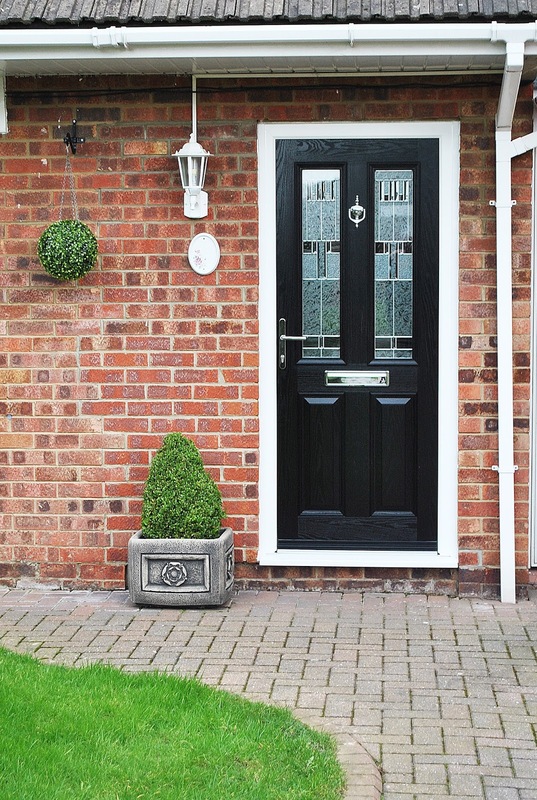 Our popular door design the Altmore, with Zinc Prairie glass design. The Altmore composite door, with chrome fixtures and fittings.